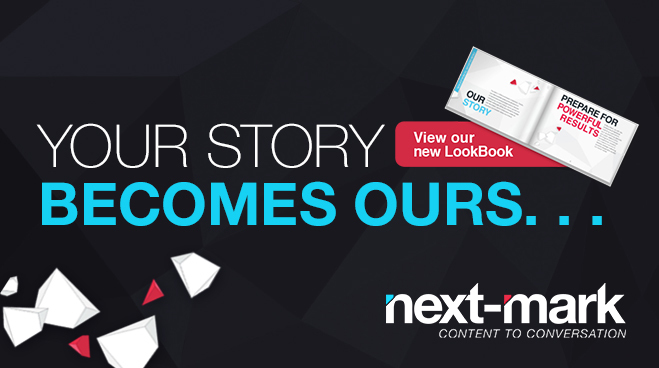 Since 2005, Next-Mark has been shaping strategic marketing communications solutions to illuminate our clients’ missions, transform brands and create dynamic success. And with every asset we develop; from websites to white papers, our clients’ stories become our own. As a full-service marketing communications and public relations agency, we’re proud to work with a wide array of organizations. Our expertise and experience helps our clients seamlessly navigate challenging markets and stand out among the crowd. We thrive in this diverse environment, knowing that each project we tackle shapes our journey and sets up our clients for powerful results. We invite you to scroll through our new Online LookBook to see a snapshot of our work and our extensive scope of services.